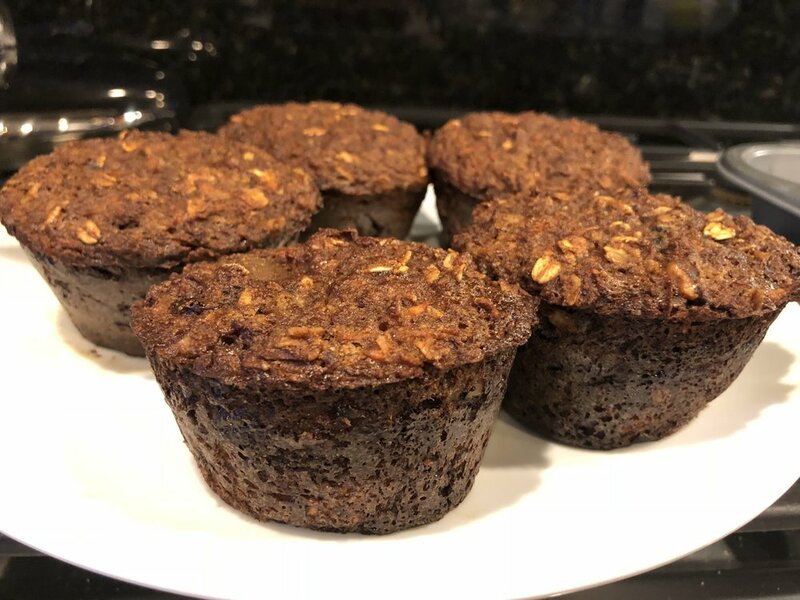 I love trying Laura Lee's recipes, and I even ordered a Jumbo Muffin pan just to make these. Here's the recipe if you want to give them a try. They're really good, but I think I was just slightly underwhelmed with the flavor of these. I don't really even know why. I think maybe if I made them again, I would add something else. Maybe coconut extract? They're really moist and tasty though. And relatively healthy. I made mine with almond flour instead of rye flour (celiac disease...duh), added coconut and semi-dried apricots, and they turned out great. I think I'm just more of a chocolate girl. Haha!